All the way from Cali, Anthony “Fresh Ink” Ramirez will be with us 1/7-1/14 for a guest spot. 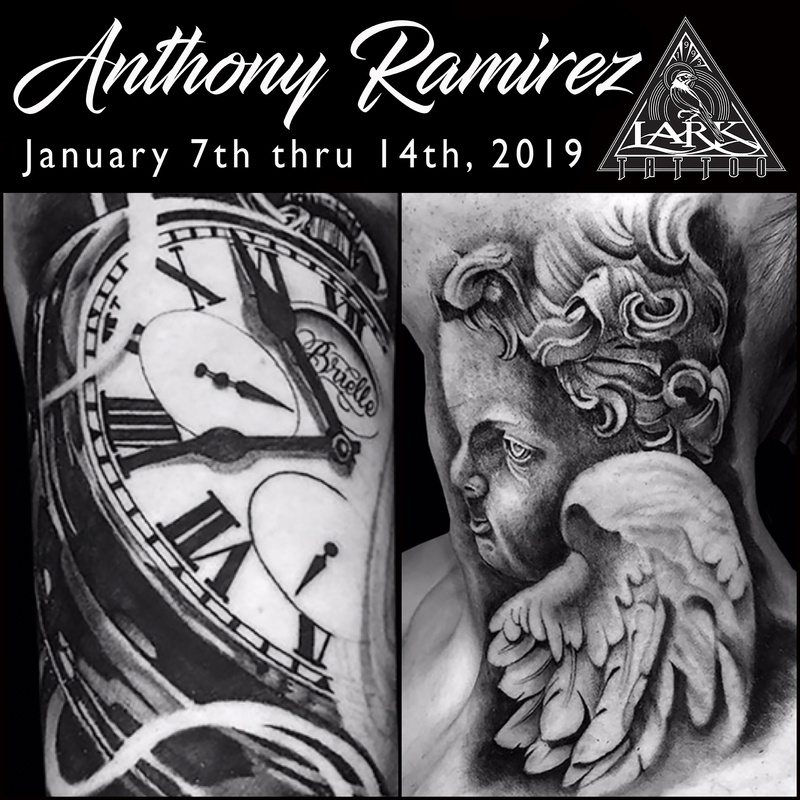 Specializing in black and gray tattoos, we anticipate his appointments will be in high demand and fill up quickly, so check out his work and book your appointment today. He is only here for a limited time, so don’t miss your unique opportunity to get tattooed by this incredible artist, without having to fly to the other side of the country! Call 516-794-5844 or email us for details.